Sometimes you just need a quick way to encrypt files securely using a passphrase. Not all operating systems have this functionality, especially Windows. 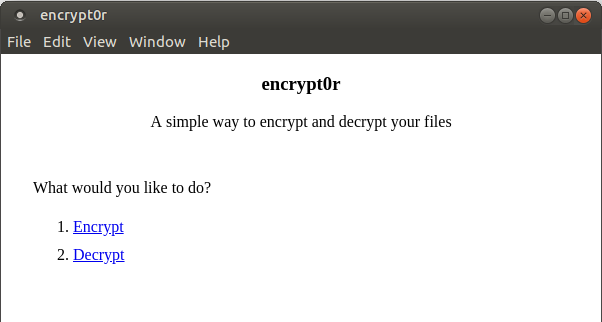 encrypt0r provides a simple drag and drop interface to encrypt/decrypt your files using a password.